Why Learn to Write English? Why do You Want to Learn to Write? Why do you want to learn to write English? If you understand your motivation for wanting to learn to write English you’ll be able to select the best materials to help youself. When you first start to learn English you’ll need to learn the same material no matter what your final goal is. The basics are the same no matter why you want to communicate in English. But after a while, once you’re getting better and have mastered the basics you’ll want to focus your learning so that it fits your own circumstances. Learning to write is one of the areas where your reason for wanting to learn English in the first place will have the greatest affect. When speaking most people use general and quite informal language. Whether you work in a company, are at school or university or work in tourism, the language you use when speaking English will be similar. Some of the vocabulary might be different but the way you speak will be similar. But when writing there are different styles associated with each situation. For example, scientific writing is formal writing with specific styles used, such as the passive voice . Whereas, business writing will still be formal but the use of the passive voice would be a bit strange. Scientific and business writing would sound very different when you read them. And again if you needed to write for tourism, your style could be more friendly and welcoming than the style found in general business writing. But your readers would still expect a certain level of English language usage. Then again just writing an email to your friends would generally be nothing like the writing styles needed for any of the other examples above. Here you could use informal language. Your grammar and punctuation wouldn’t have to be perfect. Most people only do things when they have to. So if you’re learning to write English because you have to, you need to focus your efforts on that reason. Make sure that you’re not wasting your time. If you need to be able to write a good business letter in English don’t waste your time learning how to write using the passive voice. Study materials that teach you how to write for business and not how to write scientifically. Don’t feel that you have to learn everything. It's perfectly ok to focus your efforts so that you learn what you need to. If at a later time you need to learn to write in a different style, you can focus on that style then. Use your time wisely by choosing materials that will help you achieve your goals; read material related to your area of interest or the reason why you’re learning English. 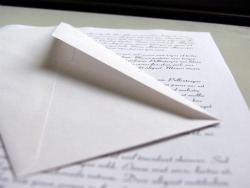 If you’re learning how to write for business, find examples of business letters or reports and read them to understand the styles of English writing used. The same is true if you need to write scientifically; read scientific books and articles. Whatever your reason for learning to write is, stay focused and you’ll achieve your goal much sooner. Return to ESL Writing from Why do you Want to Learn to Write? Return to Excellent Proofreading and Writing Homepage from Why do you Want to Learn to Write?